Microsoft develops, manufactures, licenses and supports a wide range of software products for various computing devices. 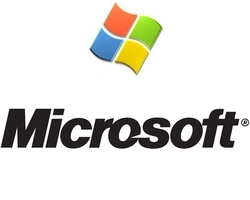 Founded in 1975 by Bill Gates and Paul Allen, Microsoft is the worlds best-known computer company. Its seven core business units are: Client, Server and Tools, Information Worker, Microsoft Business Solutions, MSN, Mobile and Embedded Devices, and Home and Entertainment. The group also sells the Xbox video game console, games and peripherals, while its online businesses include the MSN subscription and the MSN network of Internet products and services. Microsoft are cash rich and consistently increase their dividend. Even when most other companies cut their dividend in the 2008/09 downturn Microsoft continued to increase their dividend payout. Microsoft dividends are paid quarterly like clockwork in mid-February, May, August and November every year. Sept. 17, 2013 — Microsoft board of directors approved a new share repurchase program authorizing up to $40 billion in share repurchases. The new share repurchase program, which has no expiration date, replaces the previous $40 billion share repurchase program that was set to expire Sept. 30, 2013.